We were excited to hear today that Marilyn Monroe’s costumes, personal gowns, jewellery and never before seen letters will be on show In Ireland from 25th June – 25th July 2016 at the Newbridge Visitor Centre the Museum of Style Icons. Lately we’ve been focused on making parties that little bit better by make the memories even more fun. In our last post we talked about inflatable musical instruments. Which got us to thinking about other ways our customers love making photos that bit more memorable. For a while photo booths were popular at events, people loved getting instant polaroid pics of themselves. Ofcourse having to scan them or what actually happened, we found ourselves taking iphone pics of the polaroid pics – which seemed a bit daft. But hey anything to get them on facebook. 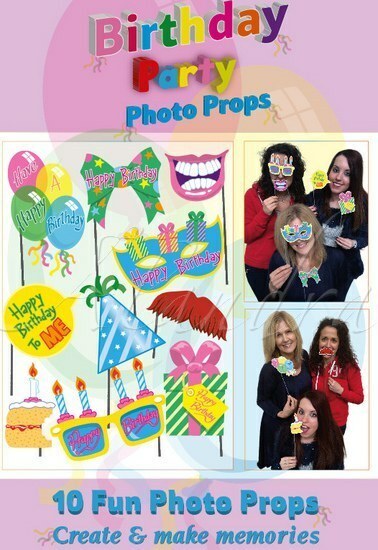 Instead (and for a much cheaper price) we’ve introduced photo props, which are a great for any parties. Check out some of our favourites – click on the images to view the product page. If you want great pictures and memories from your parties our inflatable wedding band is ideal. Create your own band without any musical talent or give it socks on the dance floor with musical instrument in hand. Click here to purchase our inflatable musical instrument packs. At TheCostumeShop.ie one of the things we pride ourselves with is having the best costumes available in Ireland; instock and available for immediate delivery. Our buyers (and our CEO) spend a large amount of time visiting trade shows, meeting designers and coming up with concepts to raise the bar. This St.Patrick’s day without doubt our favourite costume has to be our Carry Me Leprechaun costume. In a world where its so easy to do more of the same we are delighted to be the only ones with this costume available in Ireland at this time. Because we loves this design so much we’ve also added lots of similar designs such as clowns, gnomes and gorilla’s carrying fake legs. However the Leprechaun is firmly our favourite. We’ve already seen some creative orders coming in, our favourite being a leprechaun mascot to stack on top of the carry me leprechaun costume. Ballincollig’s parade, one of the largest in the county are attempting a world record for the most amount of people dressed up as Elsa from the Disney Film Frozen in one place on March 17. For those that want to participate meet up at 2.30pm at the Supervalue Carpark. And not to leave out the boys the organisers would like the boys who wish to participate in the parade to come dressed as their favourite superhero. Hopefully this will be not only a fantastic parade, one of the biggest in Ireland as Ballincollig is well known for but also one for the Guinness Book of world records. We’ve been getting lots of calls looking for Adult Elsa Frozen Costumes and Elsa costumes for teenagers. Unfortunately at this time Disney haven’t licensed any costumes for Adults or those over 8 years old, however we are liaising closely with them and are looking forward to getting adult costumes in; hopefully in time for Halloween. For Adult Costumes for the parade we recommend some of our blue princess costumes such as some of the below items for the parade. 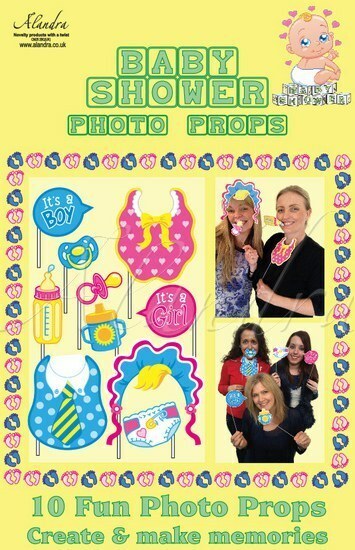 All images are clickable if you’d like to visit their page on our online fancy dress shop. Planning a last minute new years eve party? Don’t worry its not too late. Last Orders for getting your New years eve costumes and eye masks delivered is 4pm on Tuesday the 30th of December, so there is still plenty of time to browse and choose from the biggest selection of costumes and fancy dress accessories in Ireland. New years eve is a great masquerade ball theme night and its so easy to arrange as your guests can arrive as normal and get a small selection of masks to hand out on arrival to make your party a night to remember. And to make life nice and easy dont forget to decorate with some balloons and decorations from our party supplies section. So the challenge is out for Ryan Tubridy Step up, a Chirstmas jumper just wont cut it this year. So here’s our suggestions from other Christmas Suits in our range, Just let us know Ryan! So Comicon Dublin was amazing and we had such a good time. It was great fun meeting all our customers face to face and thanks so much for all the nice feedback we received. Working hard or hardly workin, our CEO. Gears of ware awesome homemade costume. We love meeting customers and seeing you all in your fancy dress. If you have photo’s of Comicon please add them on our facebook page. Undoubtedly this years biggest film for girls is Frozen. And ofcourse we have all the officially licensed costumes and party accessories to make a birthday into the perfect Frozen party. 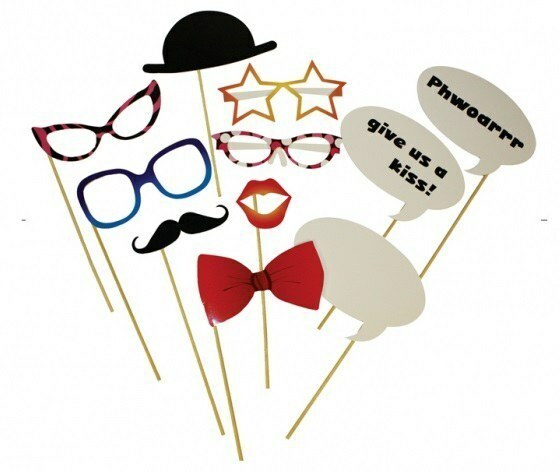 And to make the party really feel Frozen, include our great range of fabulous partyware. What makes Frozen an even better theme for a birthday party is the sing along songs. Have everyone join in and teach each other the words incase they dont know them to make the lucky girls princess party one they’ll remember forever. The 1920’s were a time of extreme fashion and the ladies presented a significant challenge to traditional Victorian values. The term Flapper is rumored to come from young birds flapping their wings as they learn to fly from the nest. Flappers make a great fancy dress theme as they allow for everyone to wear an individual, flattering dresses while clearly standing out from the crowd. 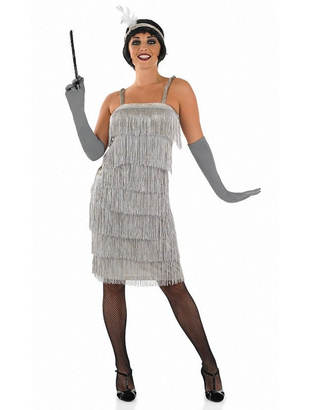 In Particular flapper costumes are a superb idea for Hen parties as we have a huge variety of flapper dresses and accessories. With prices starting from a little as €17.99 they are fun and affordable for everyone and if you choose to add the iconic bob wig, you can completely transform your look for photos and memories that you will treasure forever.